When Paul began reading art history, he discovered a love for the subject that has never diminished. Following a History Of Art degree, he held various teaching posts until a return to studying fine art at Master’s level in Sheffield meant his ambitions in becoming a full time artist could finally be realised. A professional practice based in South Yorkshire started in 2007 and continues to this day, each year building on previous successes. 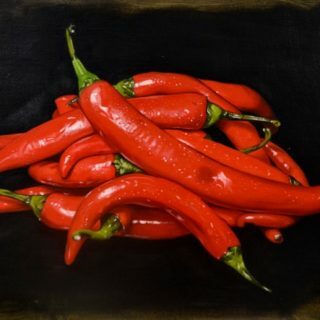 Aside from drawings and occasional portraits, Paul specialises in traditional still life compositions, albeit with a fresh contemporary look. Painting in oils, in the style of classical realism, Paul employs an accomplished use of light and shade to create a sense of texture and atmosphere to his work. The often plain backgrounds only serve to heighten the focus on the objects, seeking the viewer to reappraise the everyday and the familiar. Composition is a core consideration in the work, with Paul seeking a balance and harmony that recall his love for traditional Spanish and Dutch works from the Eighteenth Century, and more recent personal favourites such as William Nicholson. 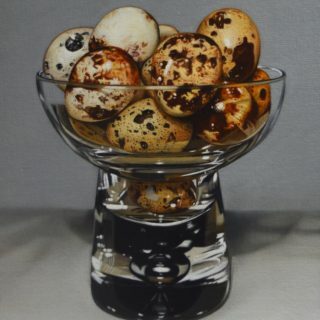 After winning a national Still Life artist competition (and being shortlisted again in 2012), Paul’s works have been shown and sold in galleries around he country and art fairs worldwide. With a growing and receptive audience – and numerous other awards over the last few years – there is little doubt this artist is destined to receive more critical and commercial success. 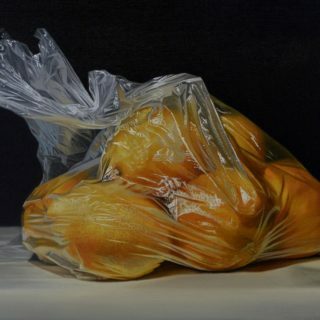 “At the core of my paintings is the search for a precision of focus on the formal properties of objects that have an everyday, almost unremarkable presence in our lives. This results in a familiar and nostalgic content, and for me a more intimate relationship with their representation. While the work displays a high sense of realism, particularly in reproduction, it is important to me that the works are still essentially a personal interpretation of form and composition, and therefore not lose that sense of being a painting. The excitement of being an artist for me lies both in the process of physically using paint to transform, and a sense of achievement in completing the work”.